One of the dangers about focusing on the case of the week rather than the ongoing narrative is that the cases of the week can actually become more interesting than the ongoing storyline, as at the moment, I'm enjoying the individual storylines a hell of a lot more than the establishment of Spock's character and the mystery that concerns him. Dividing the two narratives between the mysterious sphere that presents itself as a threat to the Discovery and May still lurking around the Discovery in the research facility of the ship in her original form but no less deadly was a smart choice, as the show continues to flesh out the bridge crew beyond just that of the select few that received attention last season. The appearance of Number One at the start of the episode was another tease towards the original series, where she was originally intended to be a major player before being cut from the show after the pilot, but Rebecca Romjin really shined in what turned out to be a brief but welcome surprise and instantly made a case as to why she shouldn't be just a one and done character. Integrating the Enterprise crew with that of the Discovery is only going to be temporary change that spices up the variety of the crew on board. It was also fun to see more of Tig Notaro's Jett Reno, who steals every scene that she's in here and it was interesting to see her back and forth dialogue with Stamets evolve over the course of the episode. Star Trek: Discovery's optimistic view for humanity's future is a welcome break from the grimdark approach that so many other shows seem to have. After what seemed like an initial attack when the Discovery was pulled out of warp and its universal translator was tampered with in what initially seemed like a display of hostility, only later turned out to be something else. The sphere it turned out was dying, and wanted to share its knowledge that it had accumulated with the Discovery crew before it passed. This had all the elements of a classic episode of Star Trek where the ship was in danger and the crew had to work together to come up with a solution, putting the emphasis on Saru which allowed Doug Jones to excel in what turned out to be an incredibly emotional episode for the character. I was totally ready to buy that this would be the last we'd see of Saru, but that was not the case, with Discovery pulling a last minute swerve that completely changes the direction of his fate - and possibly his species'. With his need to fear everything removed, we're about to see a Saru who doesn't abide by the normal Klepien weakness. It raises questions - is there a downside to having the fear element removed? What will Saru do when he comes into contact with more of his species again? 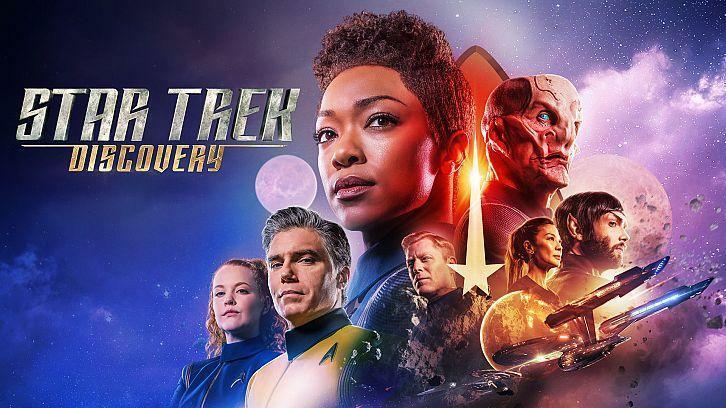 Surely this is something that Discovery will play with, especially now that the family bond between Michael and Saru is now more important than it was before. It turned out that the usage of the mycelial network has yet more drawbacks and it's something that Stamets is keen to correct, he doesn't want to be using it as much as May doesn't want him to. But with the network's ecosystem being slowly worn down after the Discovery's careless jumps (those many jumps that the ship pulled in the battle against the Klingon flagship can't have helped matters much) during wartime an alternative solution to the system is going to have to be found at some point. Tilly continues to be one of the best characters on the Discovery and a short singalong to David Bowie's Space Oddity was another one of the more emotional moments of the hour. With her fate unknown at the end of the episode, it sets up the story for the next episode quite nicely. We learnt that her regrets over her lack of actions and care for May have been what the parasite was able to latch onto, and how knowing this will affect Tilly's actions going forward as she strives to be an even better person than before will no doubt be defining for her character. Much of Michael's storyline was geared towards her acceptance that she must be involved in Spock's life and can't shut him out entirely, so at the end of the episode, she too agrees to go to his vessel. It can't be long before Spock shows up in person, right? Then hopefully at least, his storyline can improve. It's hard to improve a storyline when the main character that the storyline is about is offscreen and restricted to namedrops, but it's the absence of Spock that plays an important role in dictating the future for both Michael and everyone close to her, and everyone is going to be affected by it. With everything that the show has teased so far, it's no way this reunion is going to be a pleasant one.